We've shown you how the experts do it, now it's your turn to impress your guests and give it a go yourselves. To make it easy, we've pulled together some inspiration to give you a head start on your own. 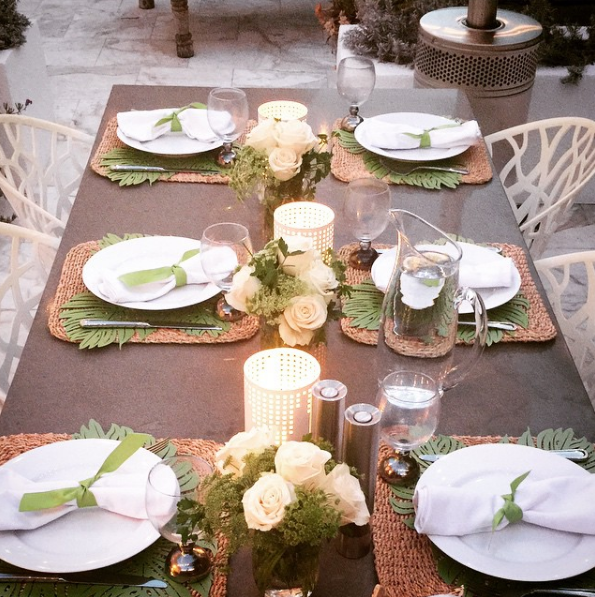 We're just loving how @mstevesskincare and @ivyrobinsonevents each created distinct looks with our Palm placemats for their outdoor dining. Don't they instantly transform your plain table into an artful design moment? Now here's the fun part. We're all about creating an inspiring community, so once you have your table or place setting styled and ready for your guests, we'd love to see what you came up with. Snap a few pretty pics and share with us. Now, with our new social sharing tool, you can easily show us your Ceci Style for a chance to be featured in our gallery. It's super easy. Here's what you have to do. Follow these quick steps - that's all it takes! We can't wait to see what you come up with! Have fun and happy entertaining!